Survey: Are You Getting High and Driving? Even though 90 percent of pot users surveyed in 2016 knew that driving while high is illegal, more than half of them also admitted to driving within two hours of getting high on cannabis. The fact is especially troubling given that marijuana played a role in 77 auto accident deaths in Colorado in 2016. What’s in the head of Colorado drivers who use marijuana before hitting the highway? Do they realize just how unsafe they are? The Colorado Department of Transportation (CDOT) seeks answers to questions like these to change attitudes and save lives. To find them, CDOT and collaborators have launched a statewide campaign, called the Cannabis Conversation, asking residents to weigh in, and share their points of view, according to a report by The Denver Post’s John Aguilar. The new survey project greatly expands the reach of an earlier campaign which mailed questionnaires to 845 Colorado residents in late 2016. This time, thousands of respondents will take the survey online or at public meetings across the state, and the agency has enlisted the cooperation of law enforcement agencies and the marijuana industry. They held their first session recently at the Montclair Recreation Center in Denver and are planning others in Fort Collins, Pueblo, and Denver. The online questionnaire has already received more than 10,000 responses, CDOT said. The campaign’s results will be analyzed in a few months. CDOT has redoubled its efforts with this campaign as public officials are becoming increasingly aware of the rising role of marijuana in Colorado auto accident fatalities. A better understanding of public attitudes about driving under the influence of the recently legalized plant might reduce the trend. Colorado legalized the recreational use of pot in 2012, but as with alcohol, it’s illegal to drive while substantially impaired by its effects. 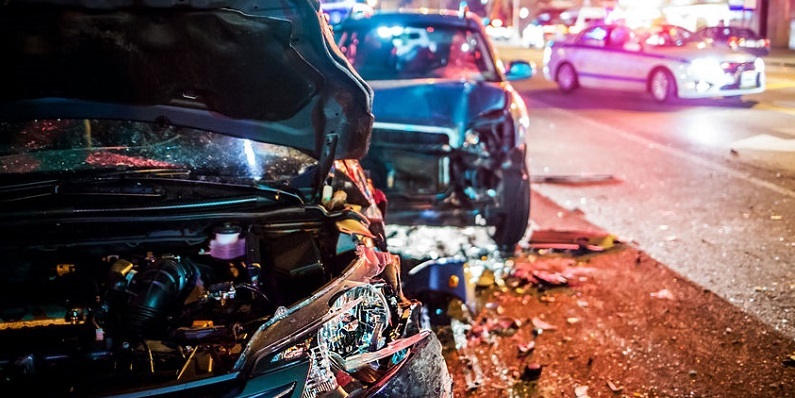 Marijuana-related auto accident deaths reached 77 in Colorado in 2016, as measured by the chief stupefying chemical, Delta 9 THC, The Post reported. Of the drivers in those accidents, 51 had THC levels greater than Colorado’s legal limit for cannabis impairment. CDOT and various partners in law enforcement and private industries, such as marijuana sellers and ride-share companies, have been working for years to educate Coloradans about the danger of driving while buzzed on pot and have been encouraging them to be safe by planning for and scheduling alternate transportation. But while the campaigns have increased knowledge and awareness, CDOT says they haven’t changed behavior enough. More than half of the pot smokers who participated in the previous CDOT survey said they had driven within two hours of using marijuana in the month prior to the survey. Those results were little different from the results found in the year before. And while 90 percent of marijuana users know they can be charged with DUI for driving high, more than half of those surveyed still admit to unsafe practices. State police agencies arrest more than 60 people every day for DUIs related to drug and alcohol use.